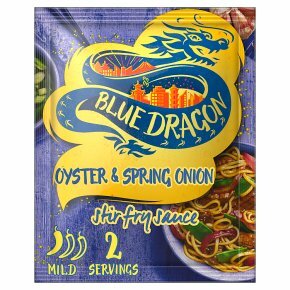 Oyster flavour stir fry sauce with spring onions, garlic and ginger. Chilli rating - mild - 1. No artificial colours, flavour or preservatives. Feeling inspired? We love adding our favourite vegetables to this stir fry, try bok choy or shiitake mushrooms.